[ #Blender ]The release candidate for the upcoming Blender 2.70 release is now available for download. 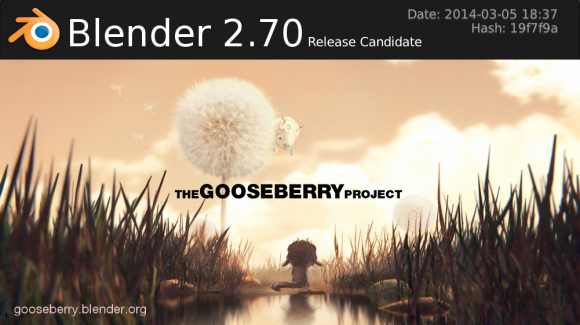 Blender 2.70 Candidate has the new user interface, with dozens of changes to make the interface more consistent and powerful. This is also the first release of the multithreaded dependency graph, which makes modifier and constraint evaluation faster in scenes with multiple objects. New features include initial support for volumetrics in Cycles, and faster rendering of hair and textures. The motion tracker now supports weighted tracks and has improved planar tracking. For mesh modeling there are new Laplacian deform and wireframe modifiers, along with more control in the bevel tool. The game engine now supports object levels of detail.